Here is another great use for all the lemons about at the moment. 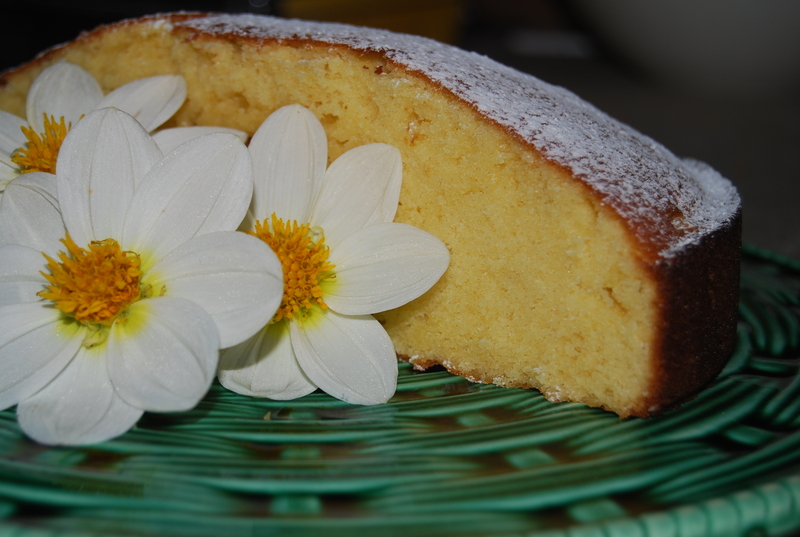 This cake is probably one of the most simple, light, tasty and quick recipes I have and is always a winner! I took it along to our friends place last night for dessert (as for the dinner she made… it was so delicious I just had to write down the recipes while I was there!). This cake is great served with lemon curd and yoghurt or berries and mascarpone. Beat together the butter, sugar and lemon zest until light and fluffy and then add the eggs one at a time, mixing well after each one. Fold in half the flour and half the sour cream, and then the remaining flour and sour cream. Transfer to a lined and greased 22cm loose bottomed cake tin and bake for 35-40 minutes or until a skewer comes out clean. Serve cool as an afternoon tea cake or warm as a dessert.